With the Windows 8 Consumer Preview having now been released, it’s time to take stock in its over 100,000 new features and see what is out there that will make this worth the upgrade for your average user. What features immediately leap out and grab our attention? Here’s a list of five to get you started. It’s hard to believe, but Internet Explorer 10 may just shake off the bad reputation this Web browser has gotten over the years. 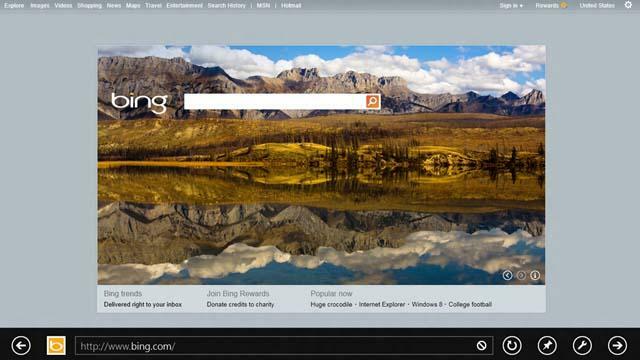 You’ll have a much faster and more fluid browsing experience with IE 10, and one that takes up far more of your screen. If you find it to be a bit too much, you’re just a couple of clicks away from the more traditional form of the browser you’ve grown to know over the years. Microsoft is also promising a lot more security and privacy in your Web browsing, which is always a good thing. It’s going to take some getting used to for long time PC users, but people who have tried it on phones love it. If you don’t love it on your desktop you can switch to a more traditional interface, but the general feeling is this is going to quickly grow on people. Additionally, Windows 8 is very touch-friendly, and this should be a killer feature in those settings. Windows has had support for multiple screens for ages, but it hasn’t always been the easiest setup for your average consumer to understand. You’ll now be able to do things such as having the Start menu on one screen, and the desktop on the second; you’ll be able to stretch backgrounds across both screens; you can switch which monitor is the primary screen on the fly and a whole lot more. Seeing as how multi-monitor use is on the rise, this is a very good thing. Microsoft has gone to great lengths to make sure navigation will be a snap no matter what type of interface you are using the new operating system on. Whether it be a touchscreen or with a mouse, you’ll be able to swipe in from the right for more controls, and from the left to bring in more apps or switch them. If you need to see more info, such as multiple screens, just zoom out and see them all at once. Despite USB 3.0 existing prior to the release of Windows 7, the only way you’ve been able to use the significantly faster standard on the current OS has been via third-party tools. 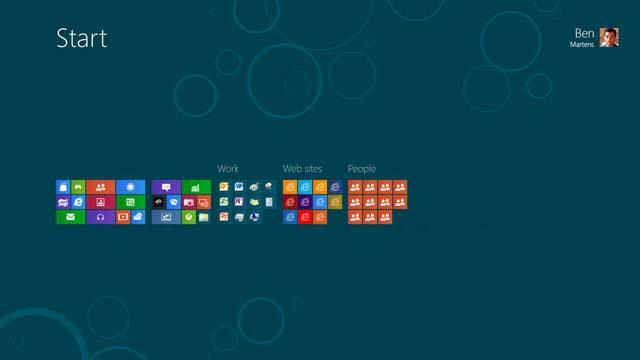 Windows 8 will change all of that, and in this “go-go-go” world of ours, faster is almost always better. Windows 8 will offer native support for the latest version of this popular connection right out of the box. Have you tried Windows 8 yet? What feature is your favorite thus far?